Proceedings is a journal that publishes articles, abstracts and reports resulting from conferences, including those hosted at Sciforum. Published items are approved by the conference committee and original research content is peer reviewed. Conferences may be in any field. Those wishing to run a conference or have the proceedings covered by the journal are welcome to contact the editorial office. 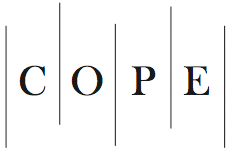 Proceedings is a member of the Committee on Publication Ethics (COPE). MDPI takes the responsibility to enforce a rigorous peer-review together with strict ethical policies and standards to ensure to add high quality scientific works to the field of scholarly publication. Unfortunately, cases of plagiarism, data falsification, inappropriate authorship credit, and the like, do arise. MDPI takes such publishing ethics issues very seriously and our editors are trained to proceed in such cases with a zero tolerance policy. To verify the originality of content submitted to our journals, we use iThenticate to check submissions against previous publications. MDPI works with Publons to provide reviewers with credit for their work. Announcements regarding academic activities such as conferences are published for free in the News & Announcements section of the journal. Advertisement can be either published or placed on the pertinent website. Contact e-mail address is .